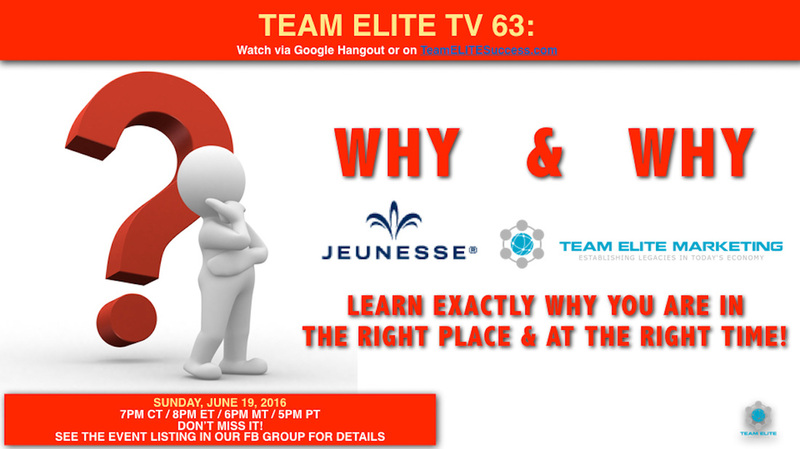 WHY JEUNESSE & WHY TEAM ELITE? One of the keys to being successful is to be super clear and super convicted about why what you've got is ... THE DEAL! So why exactly is Jeunesse the deal? And why exactly is Team ELITE the right team? Tonight, the following leaders will share with you exactly why YOU are in the right place at the right time ... and why everyone should join you!